In Malawi, where two out of three people are under 25, the farming sector is offering opportunities for jobs and innovation. 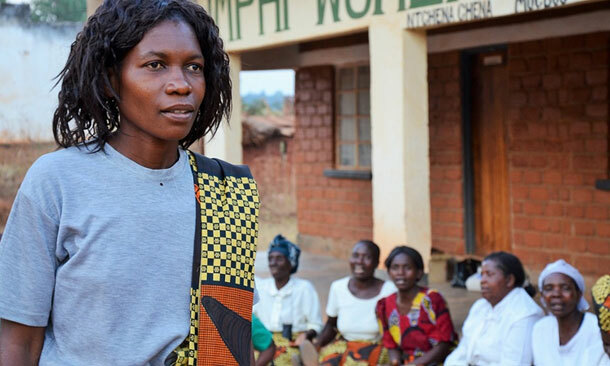 “I’m 21, and look at me: I’m self-reliant, I buy my own clothes, go to the salon for my hair and I’m a farmer.” Juliette Harawa is proud to live in her village Ntchenachena in Rumphi, north Malawi, despite the hard to navigate bumpy mud track to get to it. Like many other rural young men and women, she had rushed to town hoping for a job and steady income. Disillusioned, she returned home and joined the local farmer’s club and women’s agribusiness group Njati. The group started as an association for vulnerable women; including divorcees, widows and those effected by HIV. They used loans of new groundnut seed varieties and training to get better harvests on their farms (doubling the yields of previously planted seeds). They processed the surplus to sell as oil, peanut butter, biscuits and ground powder in the local area, and demand has been high. Malawi is in dire need of a rural revolution. The World Bank’s most recent data shows the country has the lowest gross national income per capita in the world . Agriculture employs 80% of the people but is crippled by a reliance on the single erratic rainy season, droughts and poor soil fertility. There is limited rural infrastructure, low diversification, and poor access to credit, quality seeds and markets. Grace Mhango, regional chair of Women in Agribusiness in Sub Saharan Africa (WASAA) argues that along with seeds and training, market links are critical to get youth into agribusiness. Alifosina Lirambwe became part of a revolving seed fund that gave her good quality groundnut seed. “Take Chiwewu in Machinga, south Malawi as an example. We gave 500 young women living in this remote region loans of certified pigeon pea seeds. We linked them to traders to ensure they sold at a good price. Now they are in agribusiness rather than trying to survive on subsistence farming. Malawi is an agro-based economy, it shouldn’t be so poor and hungry. We need change,” she says. This was echoed by young farmers in Mchinji in central Malawi. During an animated workshop they shared stories and demands, which they turned into their catchy ‘kondwa’ (happy) tune. But there is still much scope for farming to grow. Alifosina Lirambwe, 24, and Edwin Kalengama, 29, switched from farming tobacco when they became part of a revolving seed fund giving them good quality groundnut seeds. They both want to scale up production now: they need more seeds and Edwin feels hiring a tractor would help shift to being a commercial farmer. Livestock was on almost everyone’s wish list. Shatikani Jere, 34, wants to venture into dairy but needs some capital, which is almost impossible at the moment. “Young people need low interest loans to realise their ideas,” says Felix Sichali, who has been working on seed access for these farmers over the last few years. “We need rural microfinance as commercial banks don’t want to lend to smallholder farmers,” he adds. Only 12% of smallholder households in Malawi have access to credit. Changing this could mean sustained agricultural growth, which is between two and four times more effective in reducing poverty than any other sector. 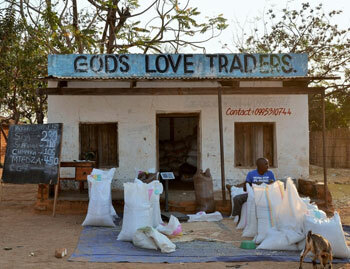 The stifled potential of youth in the agricultural sector is holding back Malawi’s development. President Mutharika wants to change this. Plans are being made for training centres to improve skills, while the youth enterprise fund aims to help credit access. In every village, there are young people desperate for these changes to become tangible. They can then channel their energy into driving Malawi out of its rural rut.